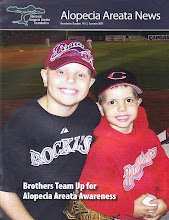 Saturday night we went to see the Lancaster Barnstormers and the Southern Maryland Blue Crabs. 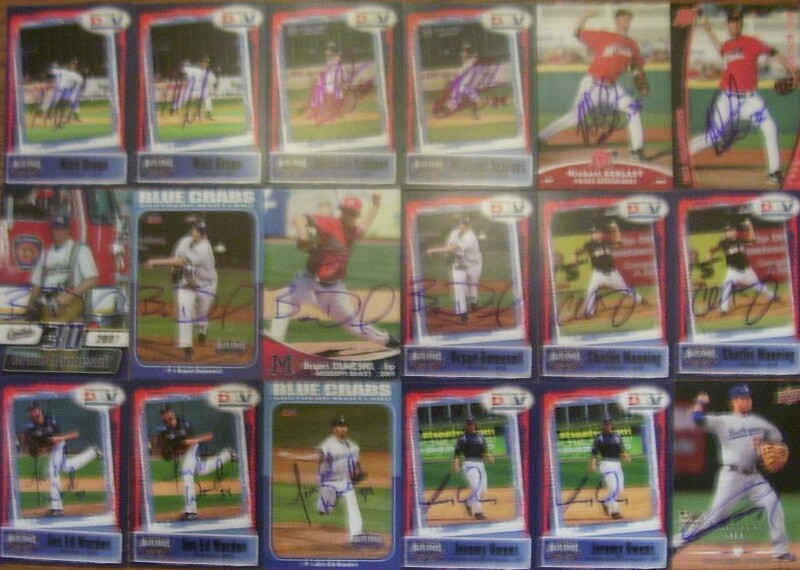 We had lots of Blue Crabs cards to get signed since the team sent us a couple of sets right before the season. 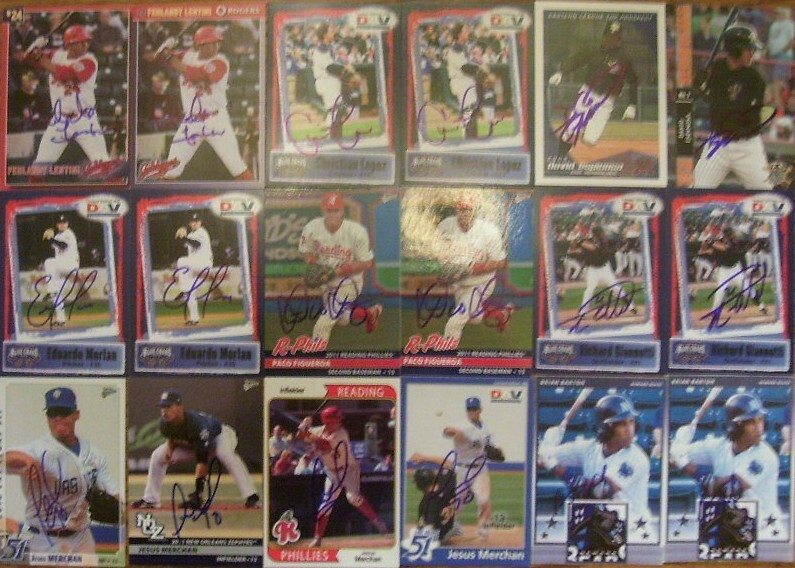 We got the Blue Crabs players before the game and got a few Barnstormers cards signed after the game. We got to meet Michael Schlact who dad says is the "King of Twitter". 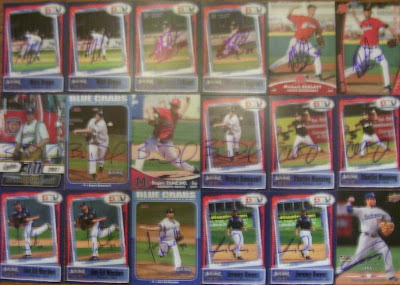 Along with Michael Schlact you can get an inside look at professional baseball by following Christian Lopez, Brian Barton, Matt Padgett, Paco Figueroa, Jim Ed Warden, and Richard Gianotti. They definitely have the best "tweeting" team. 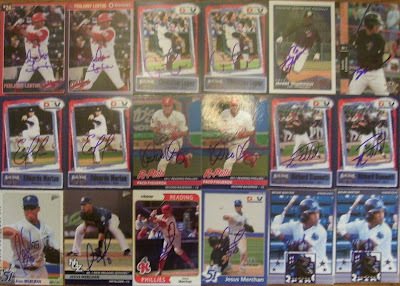 We were also able to get our Fehlandt Lentini cards signed that Bonnie Benson gave us from the Winnipeg Goldeyes so it was a good night. 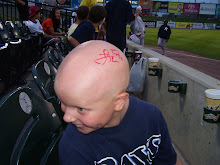 The Barnstormers won the game 8-2 and ended up going on to sweep the series on Sunday.